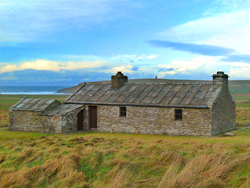 Welcome to Orkney Cottages. Escape, relax and unwind in one of our unique, self-catering cottages set in peaceful and tranquil surroundings. 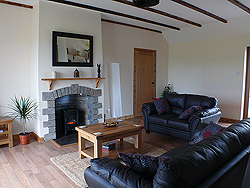 Quality graded 4 star, each cottage is thoughtfully presented with your comfort and enjoyment in mind. Overscapa Cottage is a distinctive new cottage full of traditional character. Situated in a rural location with beautiful panoramic views yet only 1 mile from Kirkwall. A spacious cottage designed to comfortably accommodate four to eight people, it is particularly suited for extended families. 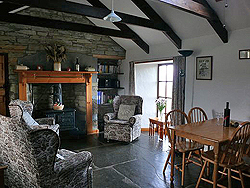 Alternatively relax in an authentic Orkney stone cottage with a story to tell. Built well over a century ago it has been sympathetically restored to recreate all its original charm. 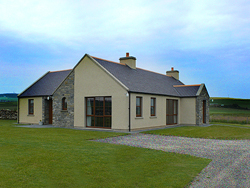 Situated in its own grounds in a picturesque rural location overlooking Marwick Bay in Birsay. Sleeps two to four people. "...the cottage was exceptional and made our holiday - we will definitely be back"
where you can actually hear the silence"
"...beautifully located, wonderfully warm and full of homely touches"
"...back yet again - we cannot think where else we would rather stay "
"...piece of heaven on earth"